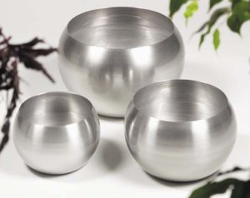 The range of Orbit Bowls, spun from a single disk of high quality aluminium can be used for both floor standing and table top plant displays. 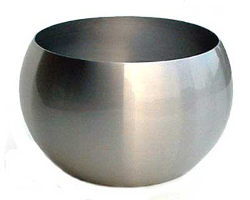 The modern shape, with gentle curves gives a soft look to interior planting. These planters are for indoor use only.